There are several easy maintenance actions that you should do twice a year on your garage door. The first is to tighten all the bolts on your door. The second thing is to buy a can of silicone spray. Lightly spray your garage door’s roller shafts. Don’t spray the rollers themselves. Also spray lightly across your springs. Finally if you have a garage door opener with a chain drive, you should lube the chain. That’s about it! 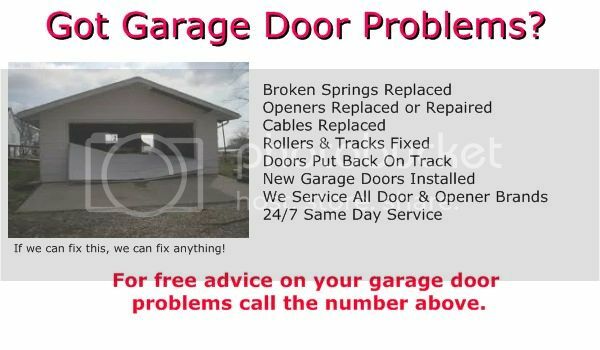 If you need any other garage door maintenance work just call us at the above number. We make prompt, inexpensive service calls and you’ll find our charge for garage door work to be very reasonable.